Hulu today announced a revised pricing structure, which will see it cutting the cost of its base streaming tier just days after Netflix announced a price hike. Hulu's base service, which offers access to more than 85,000 episodes of on-demand television and thousands of movies, is now priced at $5.99 per month, down from $7.99 per month. Hulu's base tier is ad supported, so subscribers do need to watch a limited number of ads. Hulu's ad-free plan continues to offer the same content at the same price, $11.99, with no pricing cuts enacted for that plan. The Hulu+ Live TV service is getting more expensive with Hulu now charging $44.99 per month, up from $39.99 per month. Hulu Live TV is Hulu's live television service, offering the same on-demand content along with access to 60 live sports, news, and entertainment channels. The new pricing changes will go into effect on February 26 for new subscribers, while existing subscribers will see the pricing changes enabled in the subsequent billing cycle after February 26. Earlier this month, Hulu rival Netflix announced that its "Basic" tier for SD streaming will be priced at $9, up from $8, while its "Standard" HD tier will rise in price from $11 to $13 per month. Netflix's "Premium" tier, which allows subscribers to access 4K video, will go up from $14 per month to $16 per month. Netflix's pricing changes went into effect on January 15 for new subscribers, while existing subscribers will see price increases over the next three months. Remember back when we were all saving money by cutting the cord... yeah, me either. Meanwhile I paid $12 for an entire year of Hulu on Black Friday. Netflix pricing and Hulu pricing going up up up! Time to glue that cable back together. 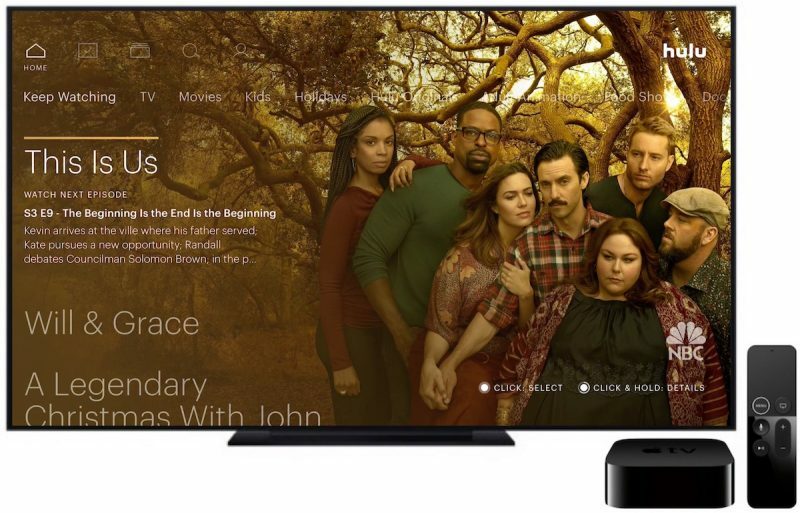 These live streaming services will soon be as expensive as cable. I called my cable company Comcast and got my bill down a lot because I was no longer in a contract and they offered me a 1 yr promotion no contract for a low price. Better than streaming as I get way more channels with cable than I’d ever get from streaming and price works out to be better with cable. Soon all these streaming tv options will be as much as cable! Still for the limited movies and TV shows they charge to much for no ads. It should be 8 to 9.99 per month since they do not have all channels or full series shows. Hulu is loosing its way on offerings and it’s owned by all these studios who do not even give them the programming to offer. I cancelled this last week as you can stream off your cable provider on demand for free or watch online for free through other authorized services. I agree on the movies, but the TV show offering is far and above anything I can find on demand (and I have access to Spectrum/Xfinity/ and Sling on demand) and they usually offer the newest season or the last newest season of tv shows. I guess it just comes down to what kind of tv shows you watch, I freakin love Hulu though. I got this weird device from a store and hooked it up to my TV, and now I get live TV for free! Who knew this was available? They call it an "antenna". It was 35 bucks, and now I watch TV for FREE. A lot of people did that. In the 1950s, 60’s, 70’s and 80’s. So its Back to the Future for you. I've been a Hulu subscriber for many years and was an "ads-free tier" customer, but this past month I decided that there wasn't anything on my Hulu tier I wanted to see to justify the subscription fee. Further, there wasn't anything on their higher priced tiers I would pay their higher subscription costs to see. Frankly, across the board when it comes to services like Hulu, Netflix, Amazon Prime Video and etc. they've kind of gone off the rails with "original content" I'm not interested in and cut back on the kind of content I originally signed up to watch. They're rapidly approaching the point where their content is not much better than the cable cord I cut. I suspect it won't be long before I drop Netflix for the same reason. Amazon Prime gets a bit if a pass because I use them for shopping with free shipping as well, the video being just a nice side benefit. But their original content is no better than the others. Same. And access to other media/news is so accessible these days when an ad starts I usually open up another tab on whatever device I'm using to watch Hulu and just ignore the ads.